Locals claim Asturias as the "real" Spain, the rest is just land which has been reconquered. But Asturias, with its dramatic rocky landscape and wild green coastline, has proved difficult to occupy. As a result the Asturian culture has thrived off this pride. Asturias' wild beauty doesn't make it inhospitable though. On the contrary, this coastline is lined with hundreds of sandy beaches and there are rolling green hills and valleys. 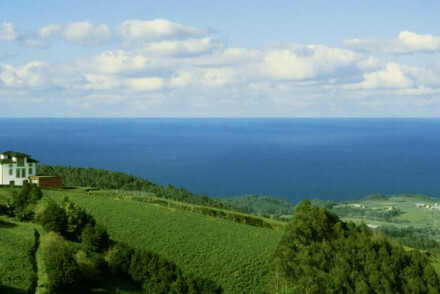 Any many of the best places to stay in Asturias take advantage of these incredible views. Some of Asturias' rocky mountains are part of the dramatic Picos de Europa range, sheer rocky pillars and peaks just back from the coast. As well as being extremely beautiful, this landscape is beloved by outdoor-sports-folk of all kinds. Asturias' unconquerable nature means the architecture is modest but ancient - much of it is pre-Romanesque. The region's capital, Oviedo is easily walkable, with an old centre which was once encircled by a stone wall - this is where most of the major sights are found. Oviedo also has a reputation for fun, which might, or might not be linked to the region's speciality: Sidra, or apple cider. Asturias' other great speciality is cheese and there are over a hundred different kinds produced in the region, including one of the world's great blue cheeses, Cabrales. Asturias' other major cities are Gijon and Aviles, both are coastal and well worth exploring if you have time. Most visitors will be here for the landscape, in which case the tiny, ancient villages and pretty fishing hamlets are probably the best places to stay in Asturias. El Gran Sueno is a stunning adults-only boutique B&B set amid gorgeous countryside. Interiors are spacious and chic - some rooms have a balcony or terrace, and all have wonderful views. Delicious home cooked dinners are available on request. Equidistant from the Asturian beaches and Picos de Europa National Park (around 40 mins). 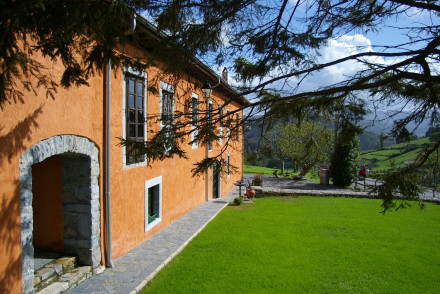 Casona D'Alevia is a delightful nine room hotel in a tiny village close to the Picos de Europa National Park. Exposed stone walls and beams, big fireplaces and comfortable public spaces lend cosy, rustic charm. La Corte de Lugas is a charming rural retreat - complete with traditionally-decorated accommodation and local cuisine served up in their restaurant. La Posada de Babel is a 3* stay located inbetween the sea and the mountains. Their rooms are comfortable and unfussy, plus they start from just €74 per night! 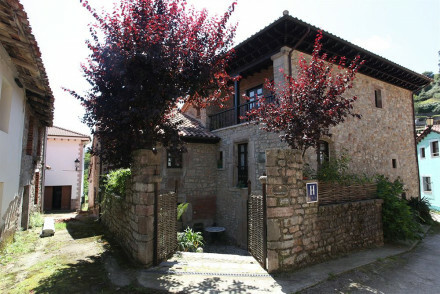 Torre de Villademoros is a beautiful 18th Century house cleverly converted into a small, modern hotel. Here you have the best of both worlds, with views of the coastline on one side and the forest on the other. The garden is rambling and the cuisine regional, local and generous. Casona de la paca is a charming hotel in a charming little fishing village. Its rooms are elegant, with antique furnishings and nice details - reminiscent of a country house hotel - and there are lovely gardens, a library with a fireplace and a cosy bar. Located just a short distance away from the beach, Casa La Calma offers simple accommodation at good value. Plus, there's even an in-house spa. The seafront Hotel Villa Rosario, set in an early-20th century palacio, offers chic white accommodation just seconds from the beach. Tuck into wonderful breakfasts each morning before spending the day sunbathing. Quintana del Caleyo shouts rustic chic from its 17th century rooftops. Here you'll find beautiful rooms filled with period pieces but all the mod cons you've come to expect. It's also a perfect stop to rest for those walking the Camino de Santiago. Palacio de Cutre is a stunning restored 16th century mansion. Individually designed rooms and suites plus one for families which can accommodate up to six. Delicious Asturian cuisine. 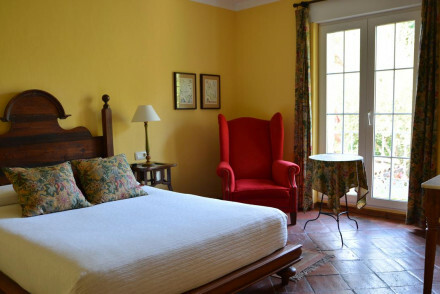 La Casona del Viajante, set in a lovely 1930s property, boasts charming accommodation in a wonderfully rural location. Bound to please! La Casona de Amandi boasts nine smart rooms in a lovely rural setting. Bikes are available to rent and you can also join in with yoga and cookery classes. 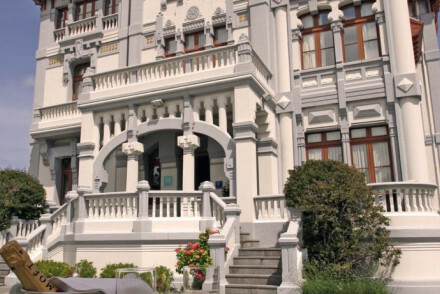 Hotel Antiguo Casino boasts six rooms in the centre of Pravia. Their charming rooms feature exposed brick walls and contemporary furniture, whilst you can enjoy a lovely breakfast each morning before seeing all that the town has to offer. 5-room Cae A Claveles is a designer stay with smart, uber-contemporary accommodation in the Asturian countryside. Hotel Rural 3 Cabos features six smart rooms with lovely views of the surrounding area. A cosy retreat, ideal for families wanting to spend their days outdoors. 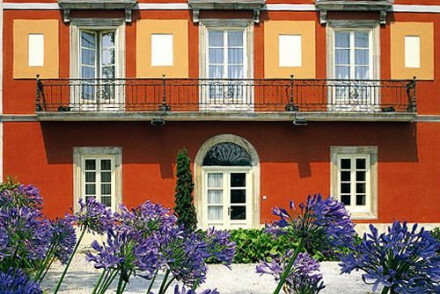 Parador de Cangas de Onis is an elegant hotel situated on the banks of the Sella River. Their rooms are spacious and smartly decorated, as well as offering both mountain and river views. Converted from an 11th century monastery, the lovely 4* Parador de Curias boasts smart accommodation set amidst glorious architecture. Plus, there's an indoor pool, bar, restaurant and gym. 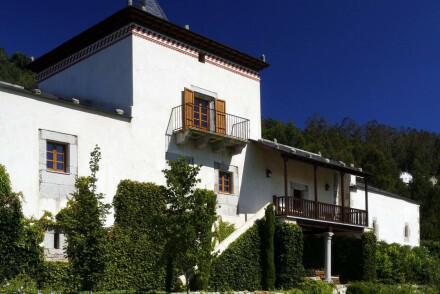 Hotel Castillo del Bosque la Zoreda is an elegant rural castle featuring a range of upmarket rooms. There's wonderful local grub served up in their restaurant and there's also a top-notch cocktail bar. 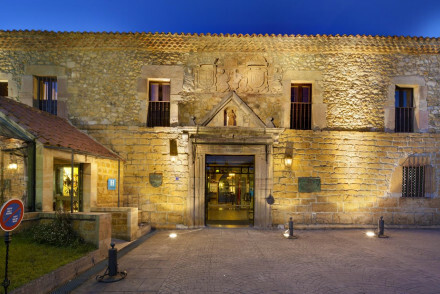 The 5* Palacio de Luces is a 16th century property with elegant accommodation, a pool, sauna and splendid restaurant. What more could you want? For those wanting something more private we recommend you explore the options on our online partner, Booking.com. Asturias Airport is located in Castrillón and its traffic is mostly domestic, but there are some international connections from Paris and London. The best time to visit Asturias is from May to September, when the temperature sits in the twenties. Have another look at the best places to stay in Asturias. Alternatively, browse the list of the best places to stay in Oviedo. A lovely country hotel in a charming fishing village. Elegant rooms are light, with jolly furnishings and antique furniture. Gardens, a library with fireplace, and a cosy bar. The coast is just a short drive away. An idyllic and quiet choice for a country escape with plenty of seaside activities. A gorgeous hotel in the Entrecabos landscape. Rooms within an 18th century house blend the modern with original features. Light wood furniture, big bathrooms and exposed bricks. Wonderful regional cuisine, enormous garden, views of both coast and forest. A chic choice for a family holiday. 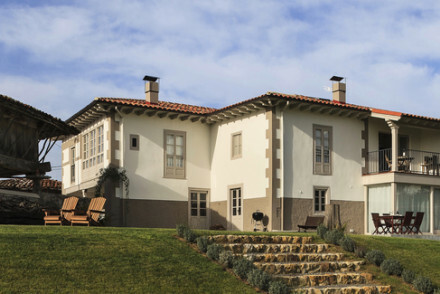 A converted rural property located in the pretty Asturias countryside. Traditionally decorated throughout with high beamed ceilings, terracotta tiled floors and pastel hues. Superb local cuisine is served and the house is well located for exploring the land and coast of the region. 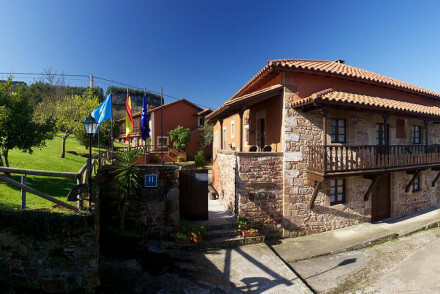 Country Escape - A homely stay set in picturesque Asturias countryside. Great walks - Find scenic hiking trails running straight from the property. A delightful hotel in the countryside. Charming rooms have original features with their stone walls, wooden beams, rustic fabrics. A cosy library with fireplace. A National Park is close by for those who love nature. A great choice for those who enjoy the countryside. A charming 3-star hotel in rural Asturias standing between the sea and the Picos de Europa mountains. Offering rooms decorated in a classic style, with antiques, artworks and contemporary photography. Featuring a bar, restaurant, its own bakery and even changing art exhibitions. Beach Life - Only 2.5 miles from the beach. A beautifully renovated historic property in Pravia. The lovely light filled, rooms feature exposed stone walls, parquet flooring and simple contemporary furniture. With an atmospheric breakfast room and small lounge. Walking distance from many of the town's sights and a short distance from the sea. Value chic - Great value for chic comfortable rooms located in the centre of the historic Asturian town of Pravia. Great walks - Head off to explore this charming town on foot, the best way to soak up the sights. Sights nearby - The hotel sits near the picturesque Moutas Palace. Set in a wonderfully renovated 1930s house, La Casona del Viajante has a winning combination of style and comfort. Ornate mosaic floors, stained glass windows and original exposed wooden beams and some period charm. Surrounded by Asturias' natural beauty, with plenty of activities nearby. Sights nearby - The Sidra Museum and the Museo del Jurásico de Asturias are both within twenty minutes drive. Great walks - The Pilona region is home to great number of walking trails. A lovely country house B&B close to the beach and mountainous areas. Simple chic rooms in neutral tones with all the mod cons and balconies. Fabulous spa offers a number of niche treatments. Excellent value and perfectly positioned for an active holiday at the beach or in the countryside. 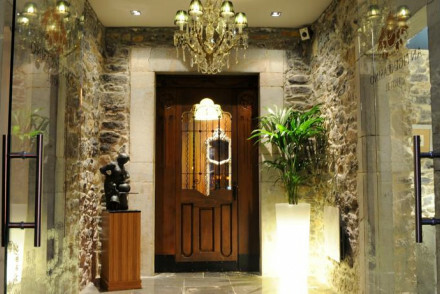 Spa breaks - Fantastic spa with reflexology and reiki healing. Great walks - Camino de Santiago. Elegant hotel and former monastery on the banks of the Sella River, offering warm and traditional rooms with river and mountain views. A great starting point for exploring a region awash with hiking trails, shrines, prehistoric caves and historical sites. Local exploring - The Cabrales Cave, a 30 minutes drive away, shows the traditional way of making cheese in Asturia. Sights nearby - There is a Roman bridge nearby. 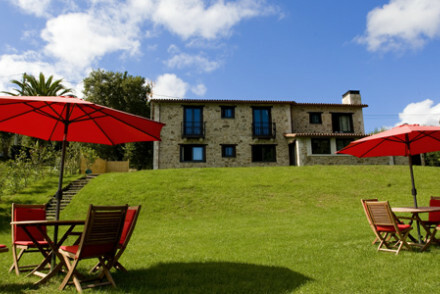 A modern take on the traditional Asturian house, surrounded by lush gardens with a pretty pool. Asturian dishes are served in the quaint dining room; while interiors feature traditional terracotta tiles, fine Indian furniture and large windows framing the spectacular views. A delight! 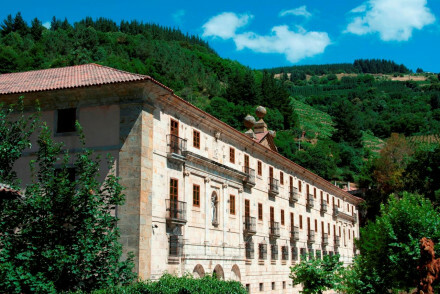 Stunning 4-star hotel built out of an 11th century monastery with gorgeous views of mountains, rivers and forestry. It offers chic, designer rooms with flourishes of rustic charm: antique furniture and objet d'art. Boasting an indoor pool, bar, restaurant and gym. Ideal for a countryside retreat. Spa breaks - The spa has a hammam, sauna, indoor pool and gym. Sights nearby - The Tuscan church nearby with its large Baroque mantlepiece is worth seeing. 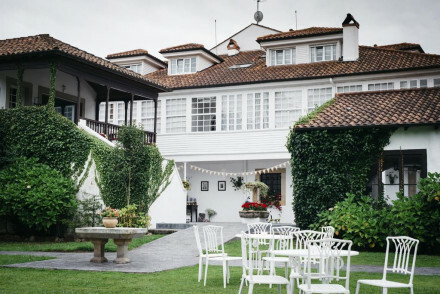 A family-run hotel in a tranquil Asturian fishing village, close to beaches and coastal walks. Decor merges traditional elements such as exposed brickwork and wooden beams with a charming nautical theme, and spacious rooms all have their own style. Expect a hearty breakfasts and a warm welcome. 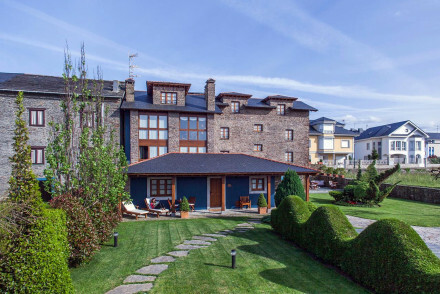 A classic hotel in rural Asturias built out of the walls of an old smithy, offering bright and rustic rooms with exposed wooden beams, antique furniture and walls painted by local artists. Ideal for simply unwinding or a charming base to explore the region. 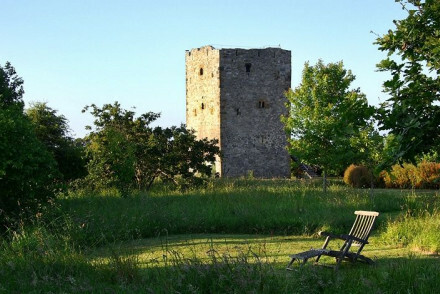 Local exploring - The hotel can organise cider and cheese tastings, guided tours of nature reserves and cooking classes for guests. Cooking classes - Learn to cook regional dishes in a cookery class. 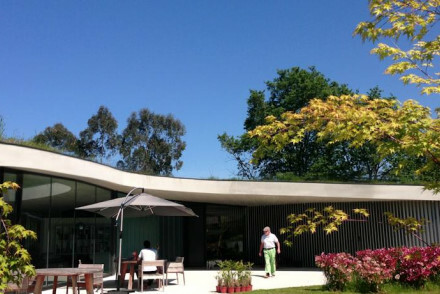 A beautifully constructed contemporary building carved into verdant grounds. The curved glass holds the outdoors as the focal point of the interiors. Light and airy bedrooms are simple in design with white washed walls, modern art and sink-into beds. Uber modern bathrooms are a given. Oh-so chic. Country Escape - A design hotel set in mature gardens. A chic country retreat. Surfing - The nearby beaches have great surf conditions. Restrictions on children - Children above 9 yrs old welcome. A charming rural property perched atop a hill, with far stretching views across the gently rolling hills and azure sea. Cosy rooms are traditional in style; the best are in the attic with rustic exposed beams and sloping roofs. Set in a glorious part of rural Spain. Country perfection. Country Escape - From bicycles to beaches there's many-a country pursuit; or simply unwind in the hotel with a good book and spectacular views. Families - A family friendly hotel with plenty of space for little ones to run around in. Great walks - Lovely walks starting straight from the property over gently rolling hils. Sights nearby - Visit the pretty fishing town of Luarca. A rural Asturian farmhouse set in the rolling hills. Romantic rustic chic bedrooms with lovely fabrics and private balconies. Traditional cuisine and local cider from the cafe, bikes to borrow, and lots of countryside fresh air. A romantic country escape with plenty of rural charm. Views - Stunning views over the countryside around. Traditional - Asturian folk architecture. A boutique B&B run by a friendly couple, nestled in beautiful natural surroundings. Spacious and chic interiors with modern facilities, seating areas, and balconies overlooking the El Sueve natural reserve. Home cooked meals are served in the restaurant. Stylish, sustainable and magical. Eco break - An eco friendly hotel where all wood has been upscaled into bathroom shelves and most of the furniture is original to the house. Local exploring - In a superb location close by to Infiesto and about a 40 minute drive away from the coast and Picos de Europa National Park. Country Escape - In a truly peaceful setting, at the top of a twisting road with amazing views of the countryside. Local markets - Visit the traditional farmers market held close by, perfect for picking up some local produce. Countryside hotel in 16th century mansion. Traditional rooms feature opulent fabrics, wooden beamed ceilings and elegant bathrooms. Garden, Chapel and ivy-clad terrace. Superb Iberian menu. Regal, peaceful and good value. 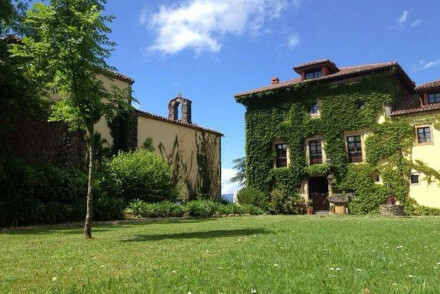 A converted Asturias palace with stunning views of gardens and rolling fields. Inside, traditional interiors feature wooden beams and large fireplaces, with antique hardwood furniture and sumptuous vintage fabrics. Expect a warm welcome from your hosts at this tranquil rural haven! A stunning seafront 1914 palacio with wonderfully contemporary interiors. Chic white rooms with L'Occitane en Provence products, the best of which have sea views. Indulgent breakfasts can be taken on the terrace. Surrounded by some of Spain's best beaches. 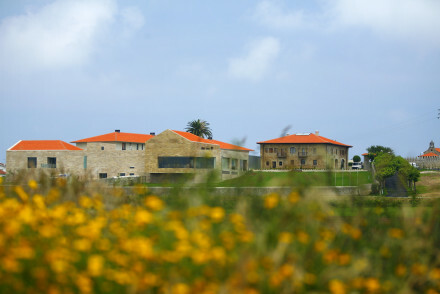 A unique seaside property. Active Holiday - A great selection of adventure sports alongside more laid backed activities. Beach Life - Situated right on a stunning stretch of beach. Sights nearby - Visit the Unesco World Heritage site of Cueva de Tito Bustillo (pre-historic caves). Kayaking - Available on the River Sella. 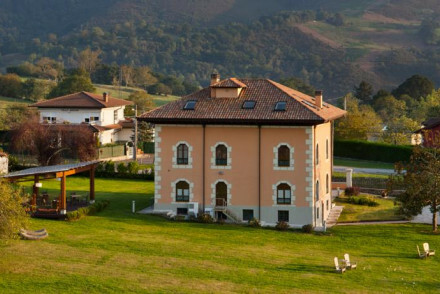 An elegant castle hotel overlooking the mountains in the Asturian countryside. Simple, chic suites some multi-level, with private balconies, garden or forest views, and hot tubs. The on site restaurant dishes up excellent regional cuisine, and sleek bar serves innovative cocktails. A grand choice. Total relaxation - A tranquil and serene retreat in the Asturian countryside, with pampering spa and excellent food. Great walks - Make the most of the stunning landscape and head out to explore the Asturian countryside. Sights nearby - Take a day trip to the untouched, sandy Asturian beaches. 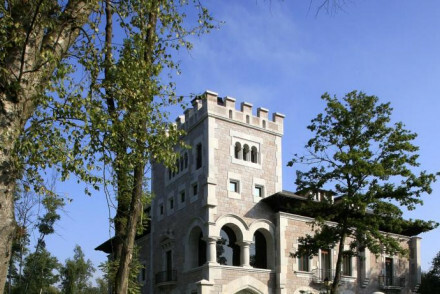 A 5 star Relais & Châteaux property set in a 16th century palatial home. Elegant rooms have a traditional feel yet are chic and contemporary. A smart indoor pool and sauna are perfect for unwinding. Gourmet local cuisine is served up in the restaurant. Situated in stunning countryside. True luxury. Families - With a multitude of activities to choose from in the surrounding area there's something for everyone to enjoy. Great walks - Explore the miles of tracks through the surrounding forest. Views - Stunning views over the surrounding countryside. 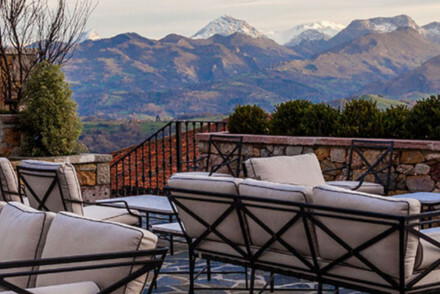 Tranquil luxury hotel with breathtaking views of the Picas d'Europa and an impressive art collection. Large rooms are rustic-chic with neutral tones, in traditional farmhouse-style buildings. The garden has pretty terraces and an infinity pool, while the indulgent spa and top cuisine seals the deal!